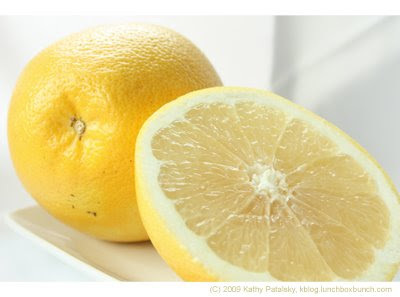 My response to AJ's question: To find a white fleshed grapefruit, simply look for one with a light yellow rind, and make sure that is it not called a ruby red or pink grapefruit. White Grapefruits are sweeter - and a tad less zesty and bitter - more smooth and juicy. They are delicious in salads or eaten alone. Try juicing one for a delightful breakfast sip. I adore white grapefruit and actually prefer them over traditional pink versions! 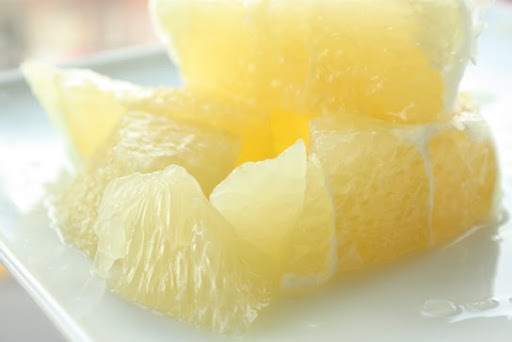 White fleshed grapefruits are sometimes called cocktail grapefruits. Good luck! The grapefruit tree is a subtropical citrus tree grown for its bitter fruit which was originally named the "forbidden fruit" of Barbados.